Once there was a time when people, both in the wine trade and the general consumer, would actively avoid organic wines, if they even knew they existed in the first place. But organic wine is on the rise among wine lovers. Thanks in part to an increase in the number of talented young winemakers actively seeking out organically grown grapes to make their wines from, organic wines are finally carving out a niche for themselves. And drinkers are reaping the rewards. An organic wine is a wine made from grapes that have been grown without the use of artificial or synthetic chemicals, such as herbicides and pesticides. 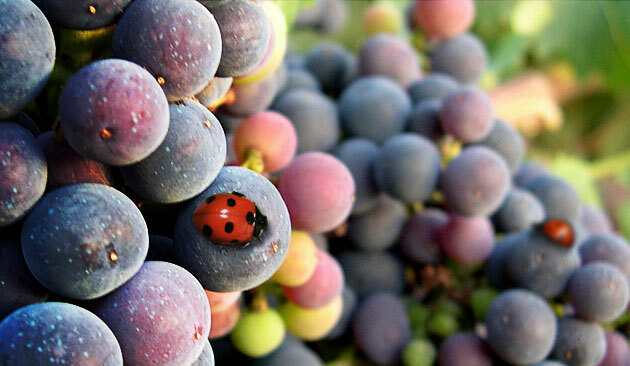 To keep the weeds and bugs at bay, organic farmers work with nature, rather than against it, by boosting their vineyard’s biodiversity. For example, they introduce cover crops to provide a habitat for beneficial insects that are the natural enemy of problem species, or have small sheep graze between the vine rows, eating the grass and weeds. In this way, the vineyard becomes a self-regulating, natural ecosystem, which is able to combat problems intrinsically and eliminates the need for artificial, and potentially toxic, chemicals. Organic wine does contain half the maximum legal limit of sulphur dioxide – a common preservative in wine that is used to inhibit or kill unwanted yeasts and bacteria, and the main culprit for those shocking hangovers, the next day. For most people, the choice to drink an organic wine usually comes down to taste. As with most organic produce, be it beef, eggs, apples, the flavours are inherent, complex, pure and delicious. Organic food nourishes you in a way that no conventionally grown food can, and the same can be said of organic wine. Many sommeliers love serving these types of wines in their restaurants because they taste great and they tend to go well with food.